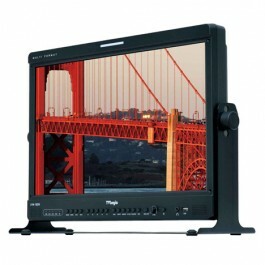 Today Camera Hire’s range of monitors available for hire has been expanded to include the TV Logic range. These monitors have a reputation as being both robust and feature rich for professional applications, and will compliment our current range of Marshall, Small HD and Blackmagic monitors already in stock. Since beginning in 2002, TVLogic has dedicated itself to developing and manufacturing the highest quality video monitoring systems available. These systems are suitable for professional broadcast, production and post-production applications, as well as being used for digital signage & multi-viewer situations. Fast forward to now, and you’ll find TVLogic monitors among the world’s leading broadcast and professional monitor manufacturers. Their technology and innovative designs provide broadcast and production customers with reliable reference grade displays for the most demanding critical viewing applications. 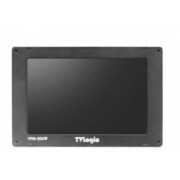 Camera Hire’s range of TV Logic monitors available to rent include the TV Logic 5.6″ VFM-056WP monitor. With HDMI, HD-SDI and composite inputs, as well as HDMI to SDI conversion, this monitor is perfect for DSLR right up to high-end professional video cameras. The internal HDMI to SDI conversion enables you to run a second monitor from the split. We also now offer the 18.5″ TV Logic LVM-182W broadcast grade monitor. This LCD monitor is ideal as a client or directors monitor, or for critical broadcast viewing. The LVM-182W offers a plethora of HDMI, 3G-HD-SDI, DVI and Composite inputs. If you would like any further information on any of the TV Logic hire monitors we have in stock, please don’t hesitate to give us a call. If the monitor you require is not listed, please contact us, and we’ll do our best to order one in for you. To see our full range of LCD and OLED monitors available for hire, please visit our Monitor Hire page.